The influence of noise on chimera states arising in ensembles of nonlocally coupled chaotic maps is studied. There are two types of chimera structures that can be obtained in such ensembles: phase and amplitude chimera states. In this work, a series of numerical experiments is carried out to uncover the impact of noise on both types of chimeras. 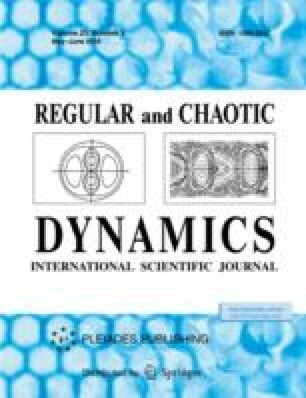 The noise influence on a chimera state in the regime of periodic dynamics results in the transition to chaotic dynamics. At the same time, the transformation of incoherence clusters of the phase chimera to incoherence clusters of the amplitude chimera occurs. Moreover, it is established that the noise impact may result in the appearance of a cluster with incoherent behavior in the middle of a coherence cluster. This work was partially supported by DFG in the framework of SFB 910. A.V.S. and V.S.A. acknowledge support of the Russian Science Foundation (project No. 16-12-10175). T.E.V. acknowledges support of the Ministry of Education and Science of the Russian Federation (project code 3.8616.2017/BC).